Someone get that man an air hole. 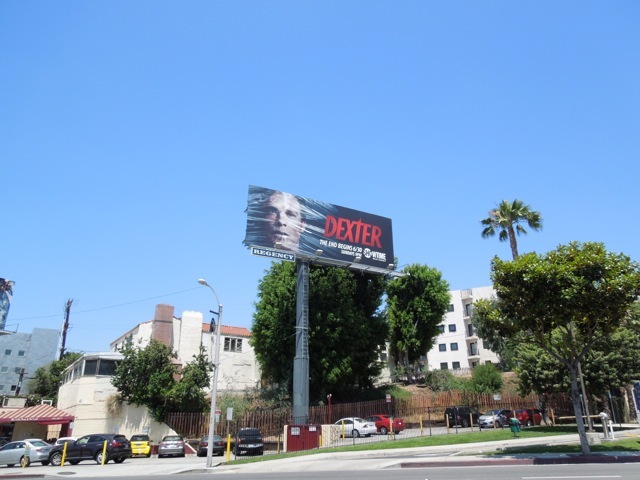 This season eight billboard for Dexter is certainly provocative and quite literally breathtaking, but you can bet the final season of the serial killer show won't be any kind of musical. 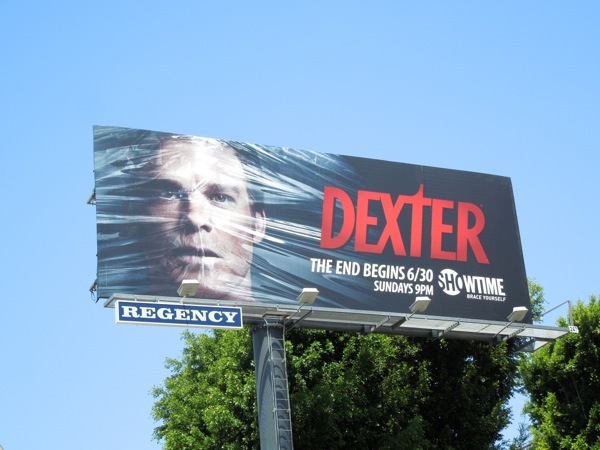 The end is beginning for Dexter, but does that mean the end of 'Dexter Morgan'? 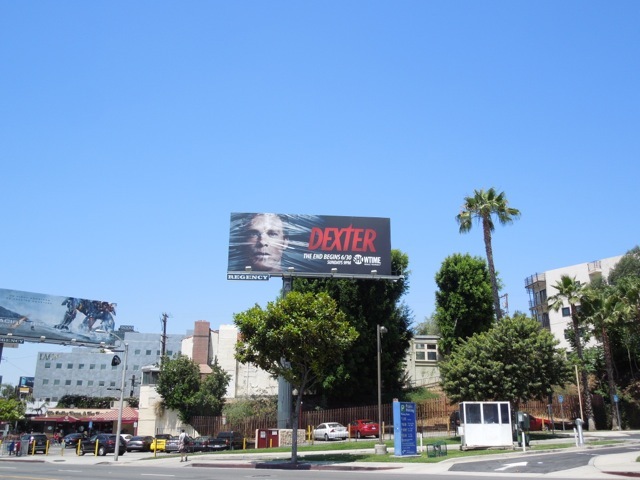 Who knows what the future holds for our anti-hero with his dark murderous side, but you can probably expect some bloody twists and turns along the way. 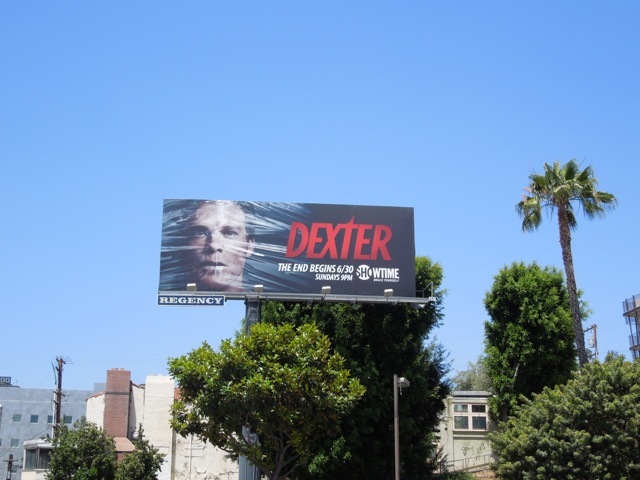 This eye-catching final season Dexter billboard was spied along Sunset Boulevard on June 10, 2013. 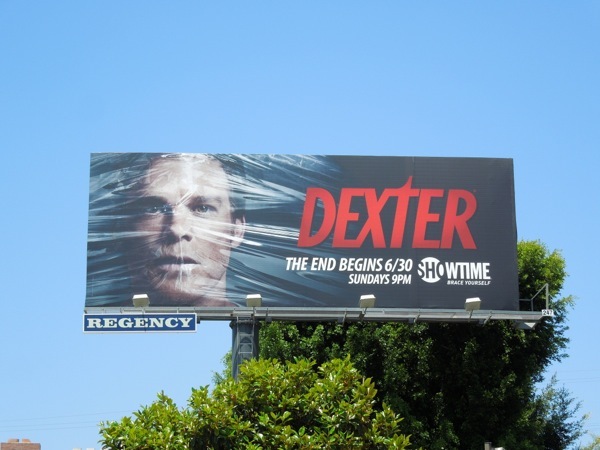 If you're a fan of the acclaimed Showtime series, be sure to check out these previous season Dexter ad campaigns here at Daily Billboard. And remember, don't try this at home kids.